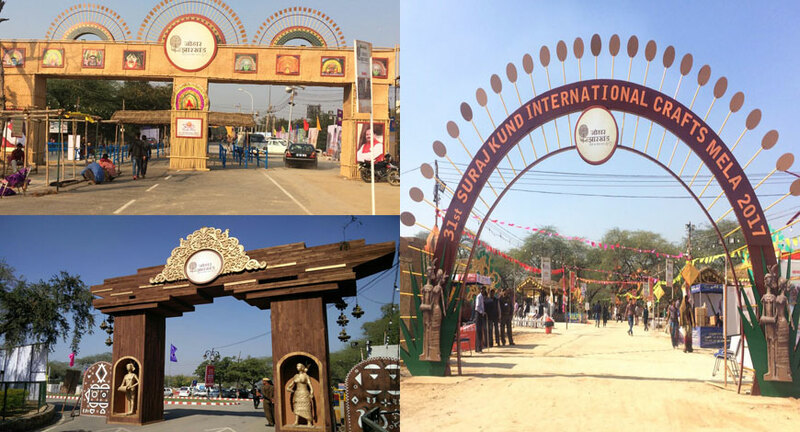 Five mega gates were designed and erected showcasing the rich heritage of Jharkhand. One of the gates, inspired by the famous Maluti Temples is going to be a permanent feature at the mela ground. The Tourist Information Centre was inspired by the Audrey House which was made in the year 1855 in Ranchi. Apna Ghar, showcasing the lifestyle of Santhal Tribe was re created with all the traditional elements like Rice Deghi, Low Height Doors, Mud Cladding etc. A Santhal Family actually lived in this place for the entire duration of the mela. Over 10,000 sqft of paintings was done over 28.5 acres of the mela ground featuring various painting forms of Jharkhand like Sohrai, Paitkar, Jadu Petia. Rohit Kumar, Director States & State Councils says.” Working with Showcraft was a great experience and they never said 'no' to any additional work which kept adding everyday. I am very impressed with the speed and quality of their work and look forward to many such events with them. 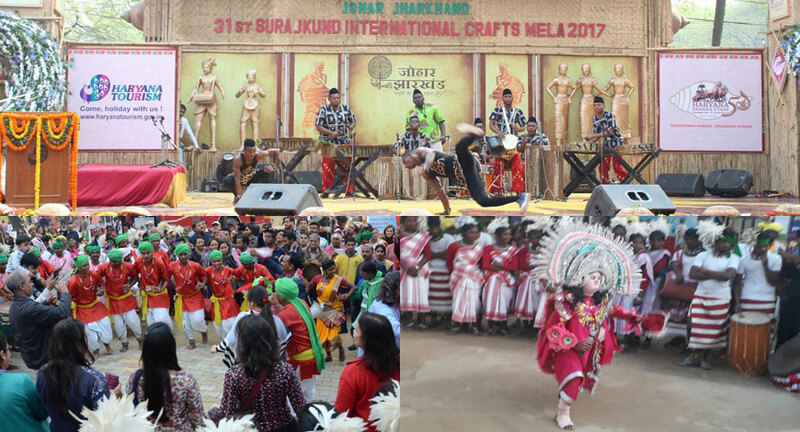 The Star Attraction of the Mela was a Grand Fashion Show with the World Renowned Fashion Designer Rina Dhaka and Varija Bajaj presenting an exclusive range of garments using the fabric and accessories from Jharkhand. The Set was inspired by the famous Naulakha Temple and Showcraft created a very mesmerising ambience all around with hundreds of Live Diya’s and Unique Props."